On Saturday and Sunday 16th and 17th of November there was an impromptu Fundraiser for Victims of the Philippine Typhoon Disaster. Nicky and Martin McLoughlin from Nicky’s Plaice have a number of people from the Philippines working with them on the West Pier in Howth who have relatives directly effected by this terrible disaster. Typhoon Yolanda (International name Haiyan), dubbed the strongest typhoon in the world this year, affected 4 million families and caused major damages to lives and properties in 29 provinces mostly in the Visayas region of the Philippines. It caused an unprecedented level of destruction. The number of casualties is expected to rise as retrieval operations continue. With support from friends and suppliers they put together an impressive stall at the Howth Market donating all proceeds to the Fund. 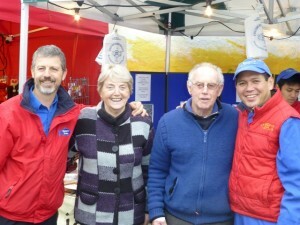 All stallholders collected on behalf of the Fund. Together they raised in excess of €9,000 over the two days which was an astonishing display of generosity from the people in Howth and beyond. The Money was then sent directly to the Blessed Sacrament Parish in Tacloban City, Leyte. In this parish alone, 68 people died and hundreds were left homeless. 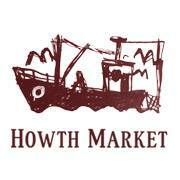 Howth Market is one of Ireland's leading markets and a great retail opportunity for you.